The last time I made this dish was more than 2 years ago. 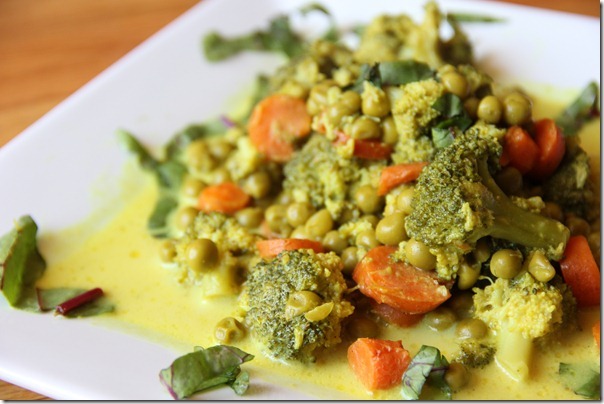 With Spring in full bloom, I thought it would be nice to revisit it, as it features some Spring vegetables, including broccoli and peas. 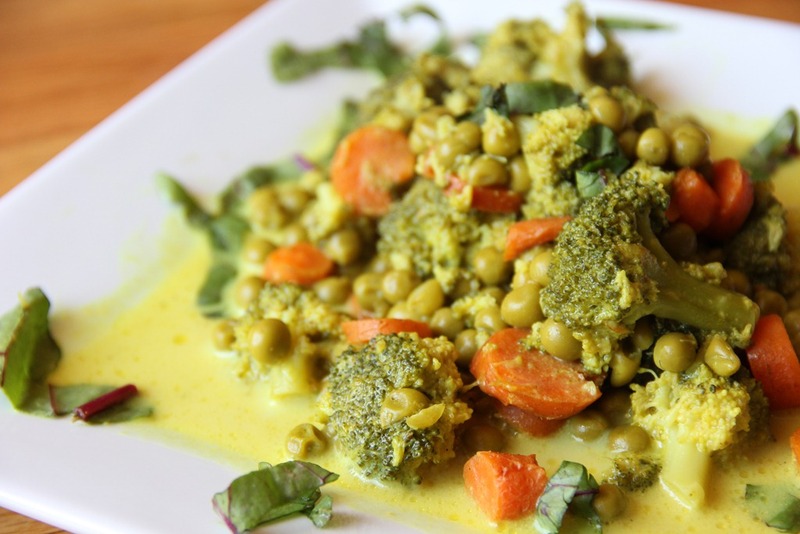 The coconut curry is super decadent tasting but comes incredibly light to the body! Enjoy every bit.